“One of my primary goals…is to do everything I can to make sure every girl who comes to our program has the opportunity to run at a college or university if she wants to, and run better at the college or university than she did in high school. Because if she doesn’t continue to improve, I feel like I’ve disserviced her.” Anyone that truly understands distance running, should hold a similar long term view of training high school athletes. Dr. Jeffrey Messer of Desert Vista High School, without a doubt one of the best high school coaches in the US, shared his long term view of training on High School Running Coach. As a member of High School Running Coach, I’ve had access to Dr. Messer’s training and philosophy for success. Dr. Messer has had numerous accolades over his tenure at Desert Vista. One example is in 2013 his girls cross country team won the Arizona state championship- quite a feat. During the Spring of 2014, the Desert Vista girls distance program was ranked as one of only two programs in the “top ten” groups in the 800 meters, 1600 meters, and 3200 meters. During this past cross country season, Desert Vista finished sixth as a team at Nike Cross Nationals. Even more impressive is the fact that Dr. Messer’s runners have continued to flourish as runners beyond the high school setting. Albuquerque Academy has won 23 New Mexico High School State Championships in cross country and track and field. To have that level of consistency and success in High School Sports is a major achievement. 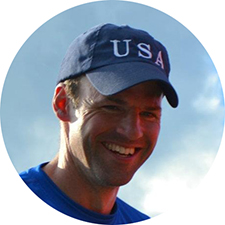 By having a membership to High School Running Coach, I am able to learn about the culture and training that Coach Adam Kedge has used at the helm of Albuquerque Academy. Through the site, a podcast, training calendar, Q&A forum, and key workouts are available for members. These are all ways I’ve been able to learn from Coach Kedge, one of the premier high school running coaches in the US. Coach Adam Kedge of Albuquerque Academy has a gift for creating a culture that breeds success. Kids in his program love running and the atmosphere around the team. One reason for this is his approach; Coach Kedge always makes decisions based upon the best interest of the kid as a person first, then as an athlete second. As a result, the Chargers of Albuquerque Academy strive to perform for Coach Kedge. Coach James DeMarco is our featured coach for April in Season 1. Cross Nationals in 2009 and 2013 as a team and had an individual qualify in 2008. They were the smallest public school to qualify in 2009 (6th) and 2013 (21st) on the girls side. DeMarco took over the boys program in 2006 that had not qualified for the state meet the previous three years (even regionals one of those years). The team made it that first year to the state meet and finished sixth. The next few years they finished fifth, second, and then won the next four years in a row. In 2013 they finish 4th. In 2012 the boys qualified for the Nike Cross Country Nationals (10th).Most recently Coach DeMarco’s team won the 2014 Hoka One One Postal Nationals. Mick Grant is our featured coach for the month of March in Season 1. Mick is the co-author best seller “The Youth and Teen Running Encyclopedia” with John Molvar. Coach Grant is now retired from the Lynx Elite Athletics club, a club with alumni such as Russell Brown, Chantelle Dron, Harry Norton, Keely Maguire. His program has produced Footlocker qualifiers, National Scholastic Indoor Champions, a Golden West Invitational mile champion, a Youth World Championships qualifier, a Junior Pan Am Games qualifier, several USATF Junior Olympics Champions. His guiding principles in his coaching are as follows. Thanks for sharing your training with us this month Coach Grant and we look forward to hearing what you have to say in both the interview and Q&A.